The Tokyo 2020 Olympics will be held 56 years after it was last held in Tokyo from July 24th to August 9th. The Paralympics follow 16 days later and run from August 25th to September the 6th. With a month and a half of these globally defining games, Tokyo and Japan as a whole have had to make a few changes. So with just over a year to go, what are these changes and how are the Japanese embracing what will be an influx of a lot of different people? As a culture, the Japanese have always held onto their own traditions and their own way of doing things and this has made it the unique and amazing country that it is today. But with the whole world now watching and looking forward to descending on the country, Japan’s had to not only change Tokyo physically with a lot of new venues but also develop new approaches to the way it does things. Helping visitors adapt to the Japanese culture, but more importantly, helping the Japanese adapt to their new visitors. Let’s start with the buildings. There will be around 42 venues used for the Olympics and the Paralympics around Tokyo as well as the Olympic village. There are several brand new venues being built around the city by the Tokyo Metropolitan Government and while the face of Tokyo is ever-changing, the size of these venues means that this time it’s a big facelift. The national stadium has also been rebuilt to fit a much larger capacity. National Stadium – This rebuilt stadium will be hosting the opening and closing ceremonies as well as the field and track events. Based in Shinjuku, it’ll be hard to miss as you explore the area. Aquatics Centre – One of the biggest new venues being built. Like many of the new buildings, it’s based in Koto ward in the new Tatsumi Seaside Park. Ariake Arena stadium – As you’ll soon see, there are a lot of venues in the Koto ward. This one will host the volleyball and wheelchair basketball events. Olympics Gymnastics Center – Another one in Ariake, this as you might have guessed will hold the gymnastic events. It’s actually one of several temporary venues being constructed for the Olympics in the Koto ward. Olympic Village – Less of a venue but obviously one of the essentials. The new village in the Chuo ward sits across the two sections of venues for the Olympics, the heritage area and the Tokyo Bay area. It will house all the amazing athletes of the Olympics and the Paralympics. Kasai Canoe Slalom Centre – Often one of the more interesting venues for the Olympics, the canoe slalom is a great one to get down to if you can. It’s a bit further out in Edogawa though but is an ideal spot for a water sports arena. Oh, and it’s not too far from Disneyland. Sea Forest Waterway – Last on the list is another one in Aomi in the Koto Ward. Not too far from Odaiba, this will be one of the main venues for water sports at the Olympics. Many of these new buildings will change the landscape of Tokyo, particularly with many of them being constructed on parts of already reclaimed land. Some of these changes have already had an impact. For example, the famous Tsukiji Fish Market that has recently moved location, will be turned into a temporary parking garage and transport hub for the Olympics (although there are rumours the fish market will return to its original location by 2025). Each permanent venue will be adapted to service the local communities and the surrounding areas with new sports facilities after the games. 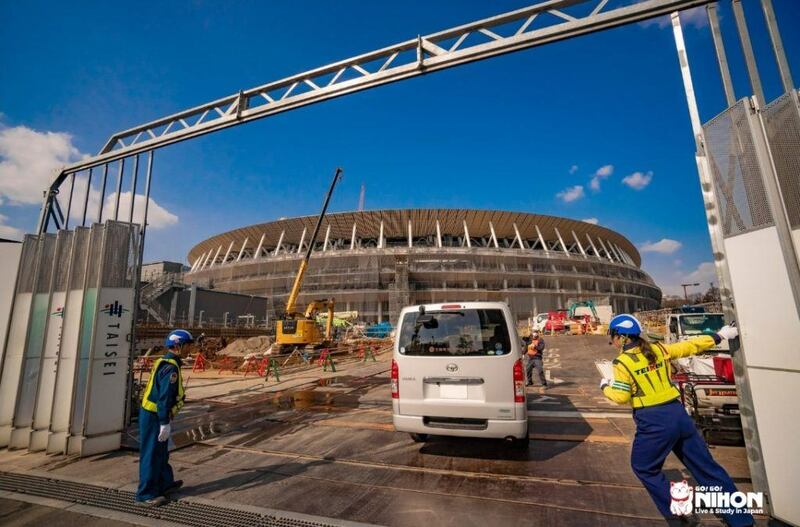 The legacy of many Olympics venues around the world can often have mixed impacts on the surrounding communities but hopefully, the Japanese approach will be as positive as it’s planned. Did you know our Tokyo Galaxy and Toyo schools are based near a lot of the venues? A perfect choice if you want to catch all the action. Japan’s approach to inclusivity has always been somewhat complex, to say the least. The Olympics in any country has the potential to be a great catalyst for change and Tokyo is embracing this. There are two large areas covered by this issue. One is simply a massive increase in visitors as a whole and the second is for disabled people. Given that the Paralympics is just as huge as the Olympics, accessibility is an incredibly important issue with all these new buildings and as you might hope, there is a detailed set of guidelines that have been issued to all contractors working on any new sites. But it’s just as important to adapt the city where it’s not already suitable for disabled people. If you’ve been to Tokyo you will already have seen the yellow textured paving that is pretty prevalent around the city. 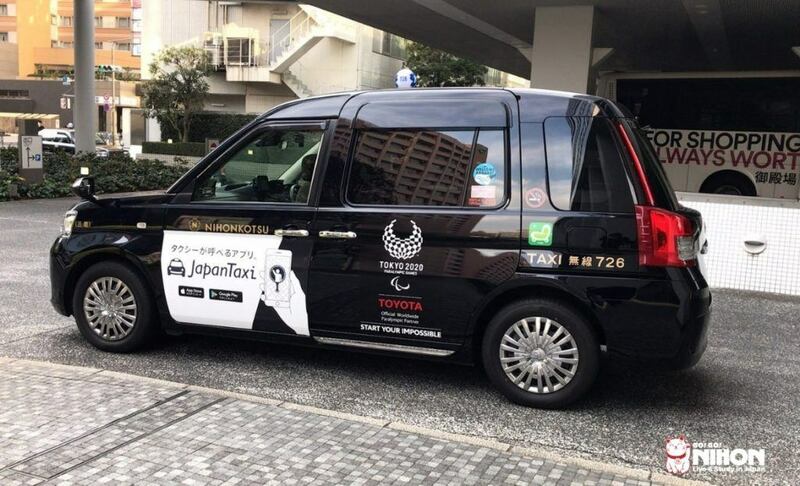 This sort of intervention is a really important resource for the blind or partially sighted people and something that Tokyo seems to do a lot better than others. While there are regulations for this type of paving in other countries, the UK being one, it does not have an extensive network that often connects important locations such as stations like it does in Tokyo and around Japan. This paving also guides people to crossings, around corners and helps them avoid any hazards within the public realm. On trains and buses, the Japanese are reasonably good already and they are still seeking to improve on this, looking to make train stations across the city, barrier-free for disabled people. As it currently stands, around 71.2 percent of train cars are accessible and around 56.4 percent of buses are step-free. Both buses and trains have announcements for the visually impaired too. There’s also recently been a change in legislation to ensure that new build hotels make at least 1 percent of their rooms accessible if the building has over 50 rooms. On a broader note, there have been over 200,000 applications for volunteers at the Olympics and Paralympics coming from a mix of locals and foreigners living in Japan. Furthermore, with the recent changes to visa legislation and the introduction of the Japan specified skills visa, Japan is becoming accessible to a lot more people. This is just a broad overview of the changes happening to Tokyo at the moment with new buildings to explore and an improvement in accessibility and inclusiveness. As with most cities around the world, there’s still a long way to go but it looks like the Tokyo 2020 Olympics will be the catalyst for change that’s needed. If you’d like to know more about living in Japan with a disability we’d recommend the Life where I’m from YouTube video on the subject and this blog by Josh Grisdale on accessibility in Japan for more detailed information.